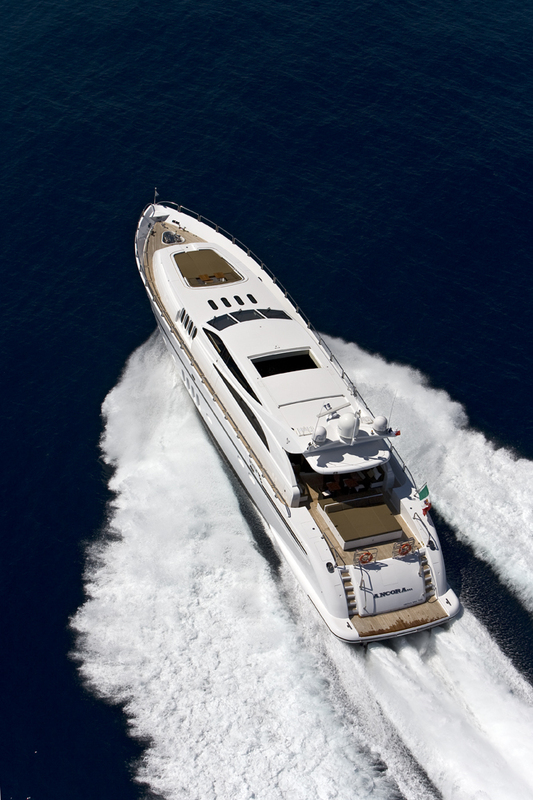 Motor yacht ANCORA is a 2007 open style performance Leopard of 34 meters in length with naval architecture by Baccigalupo. 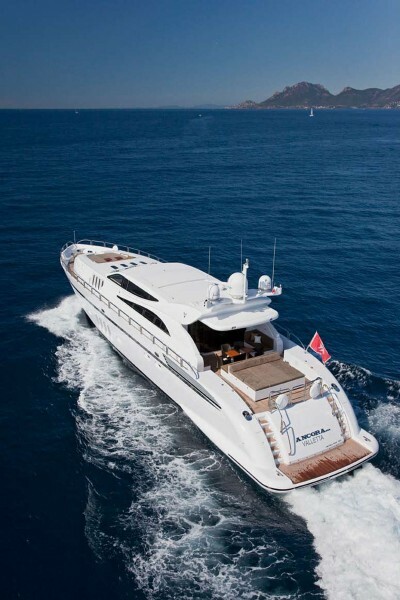 She is able to accommodate up to 9 charter guests in 3 double and 1 twin cabin. 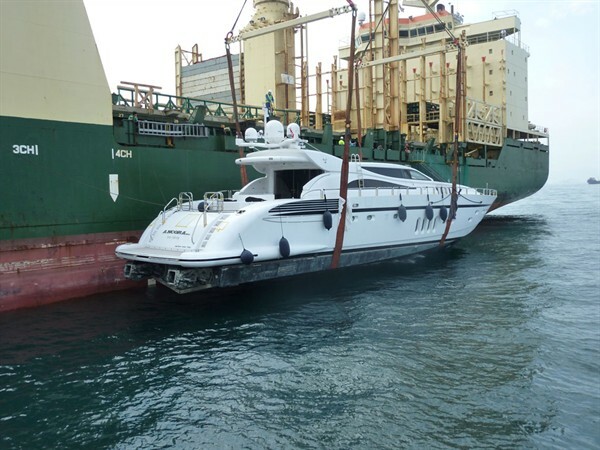 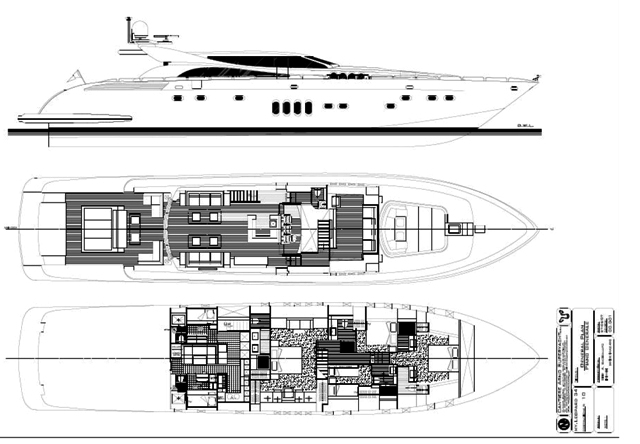 Her 3 x MTU 16V2000 M93 diesel engines produce 2400hp and her 2 x Kohler 40K water jet units thrust her to a very impressive top speed of around 44 knots – hold onto your hats - and a cruising speed of 38 knots. 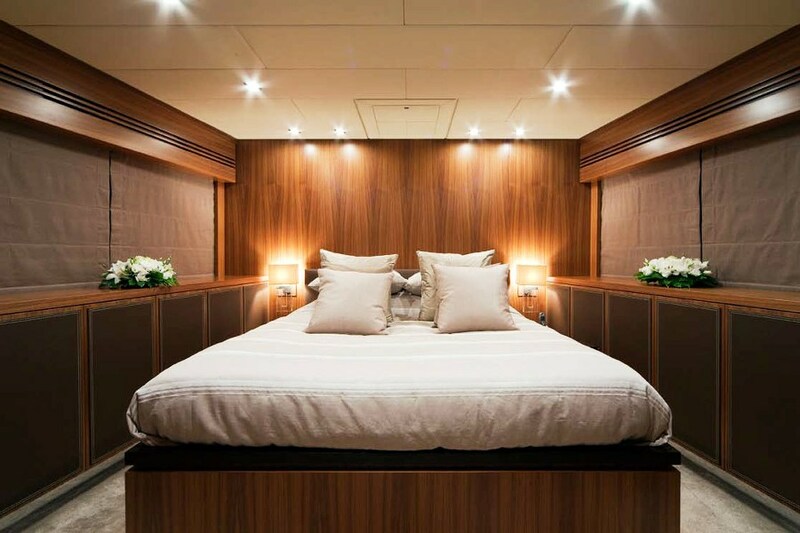 A light and modern interior design and plenty of seating and sunning areas up forward on the bow or back on the aft deck all help to make M/Y ANCORA a fantastic stylish and comfortable open style charter yacht. 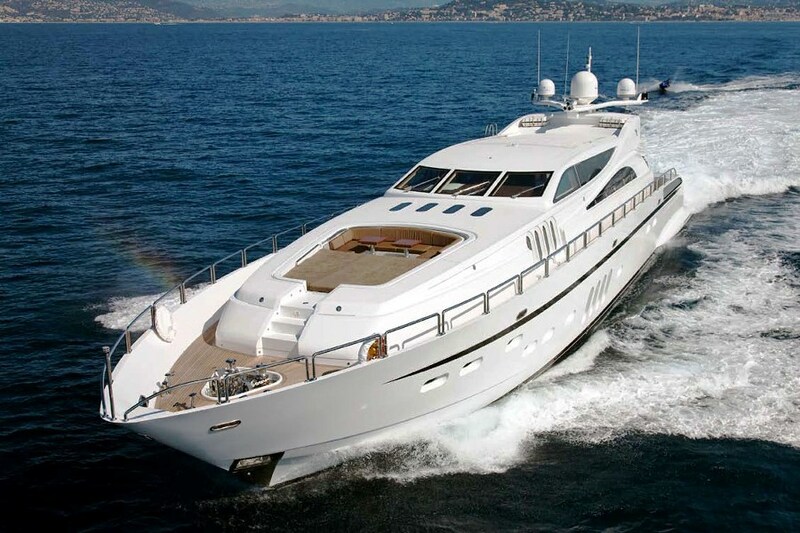 Her unusual turn of speed increases her reach of the best bays and harbours. 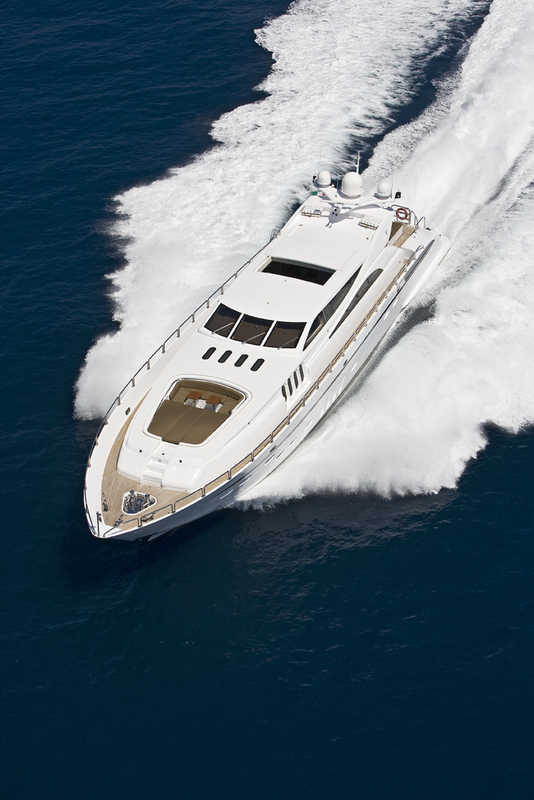 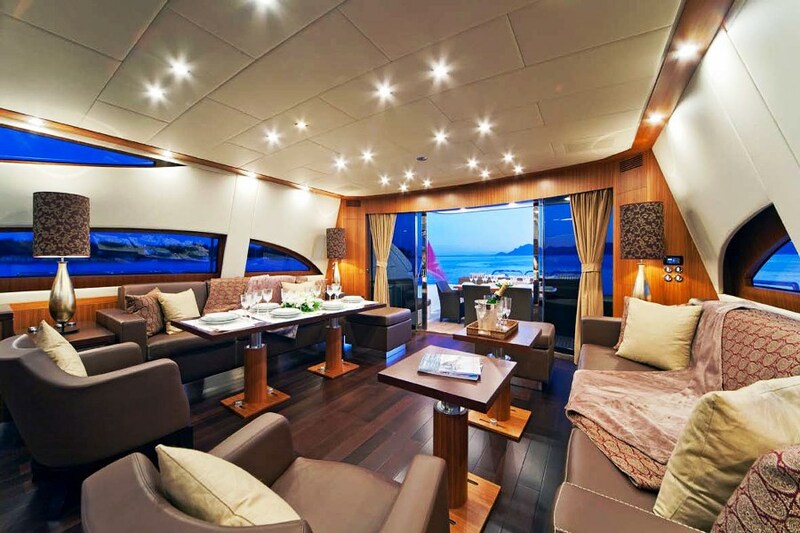 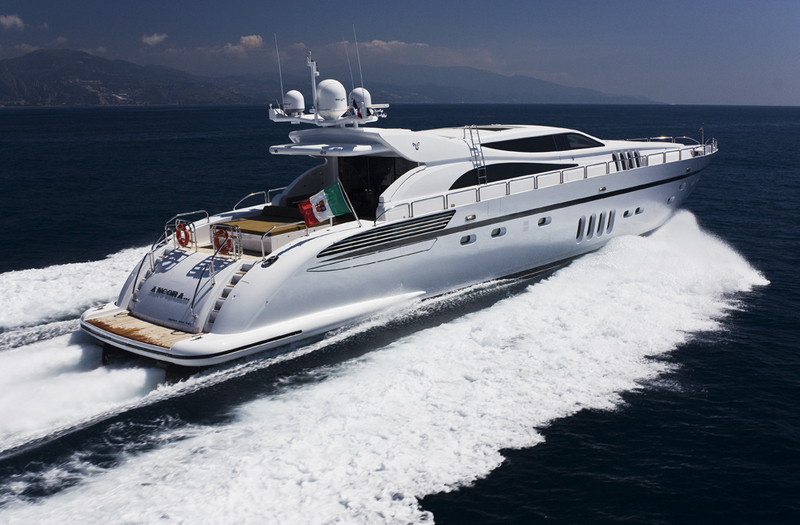 The Leopard 34 motor yacht ensures a great mix of speed, style and space taking. 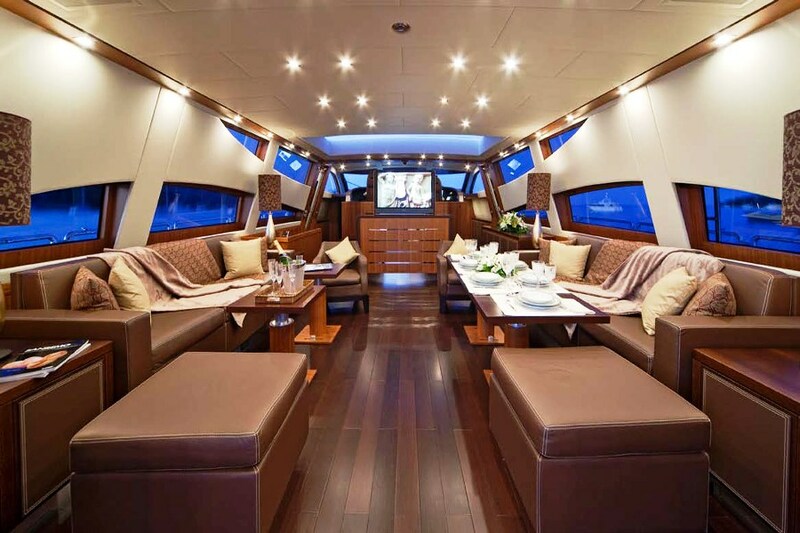 She can quickly transfer her guests to distant locations in record time, whilst providing luxurious comfort along the way. 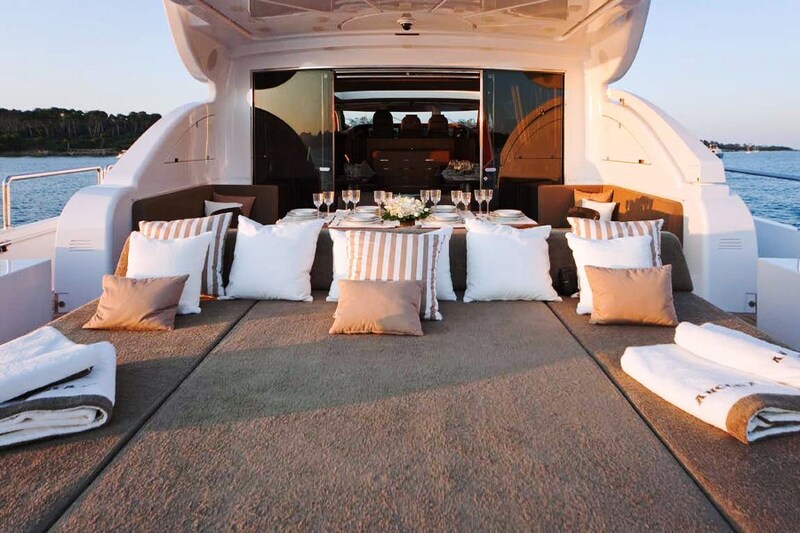 This Leopard’s impressive entertainment system completes the lavish interior, including a opening top sunroof in the saloon. 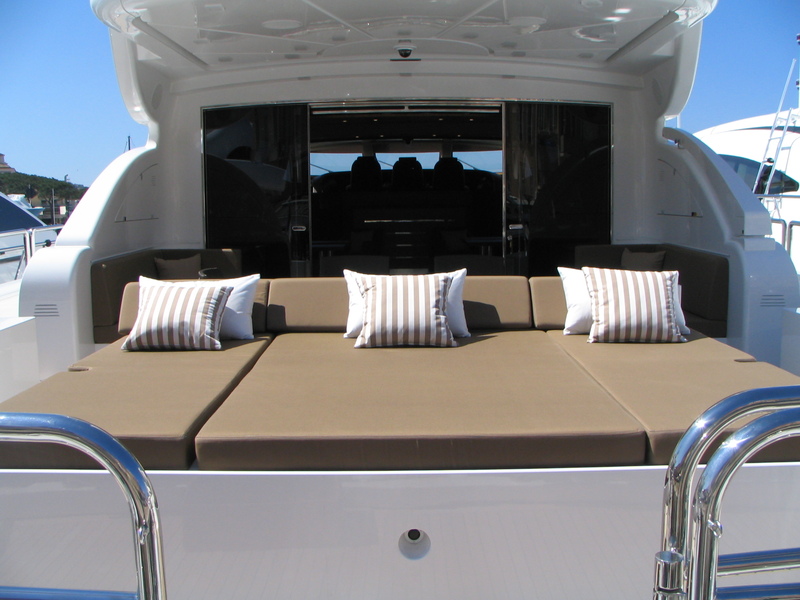 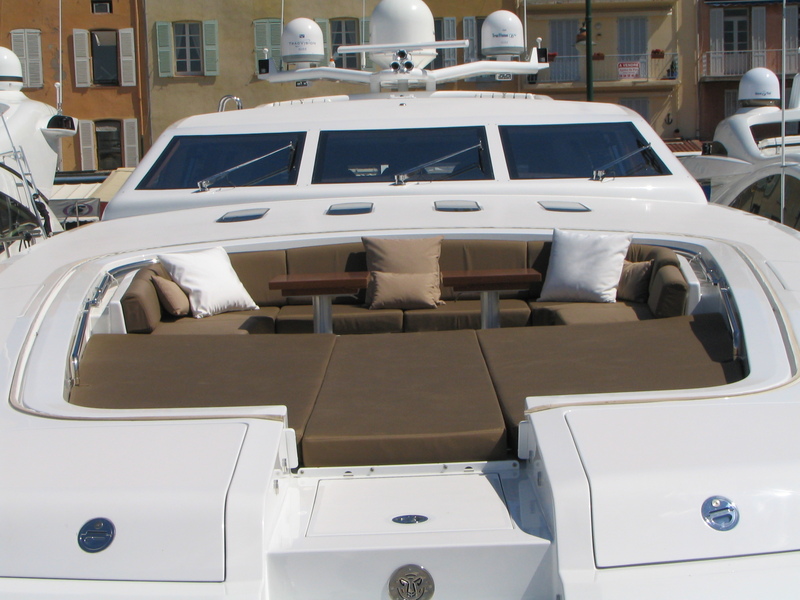 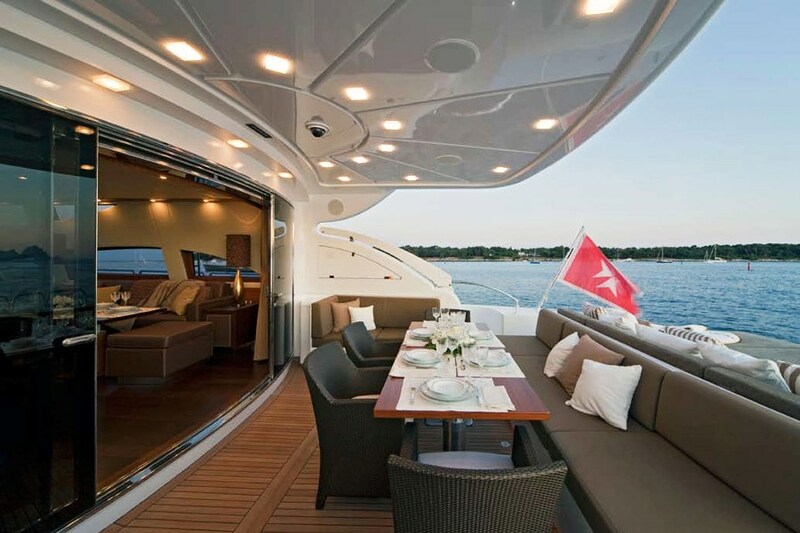 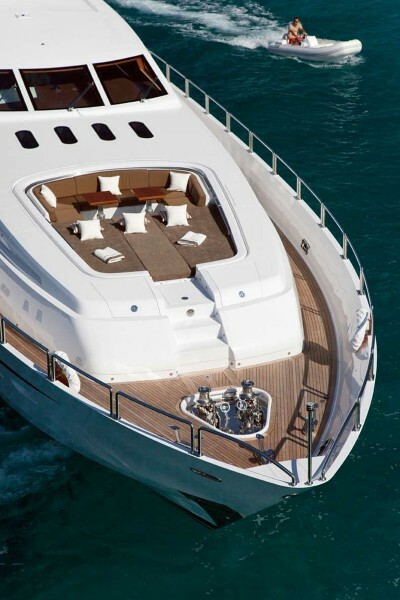 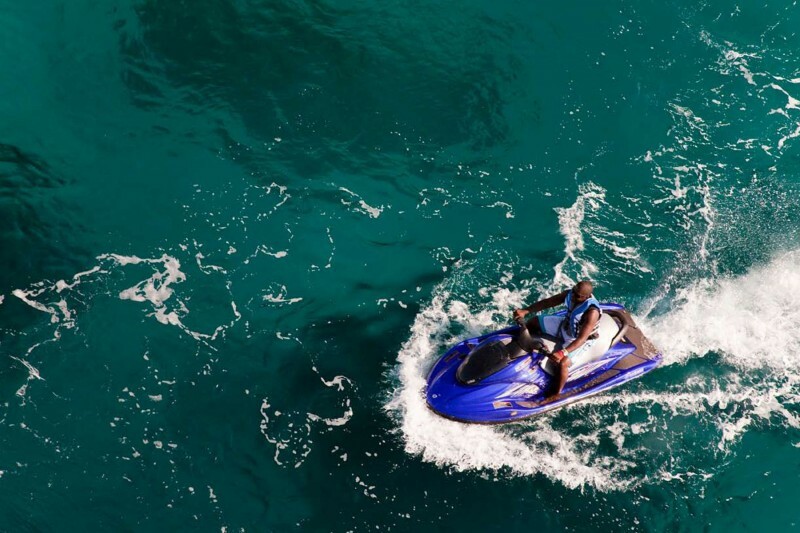 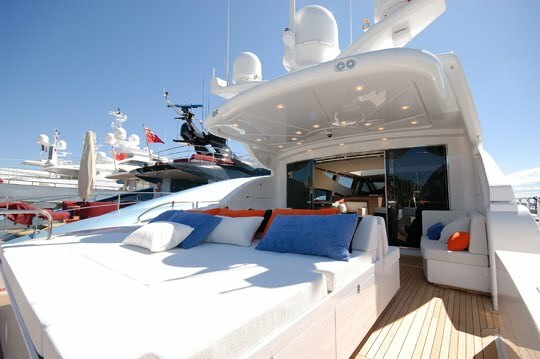 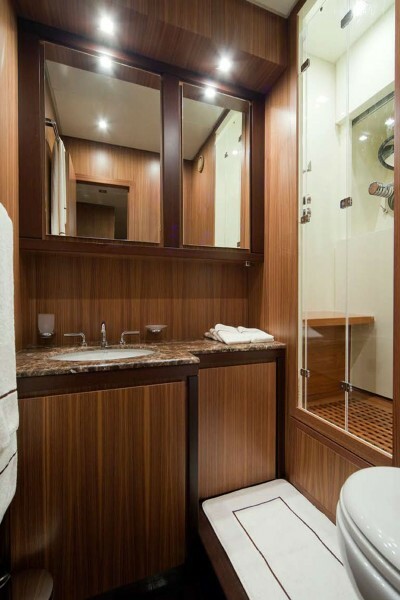 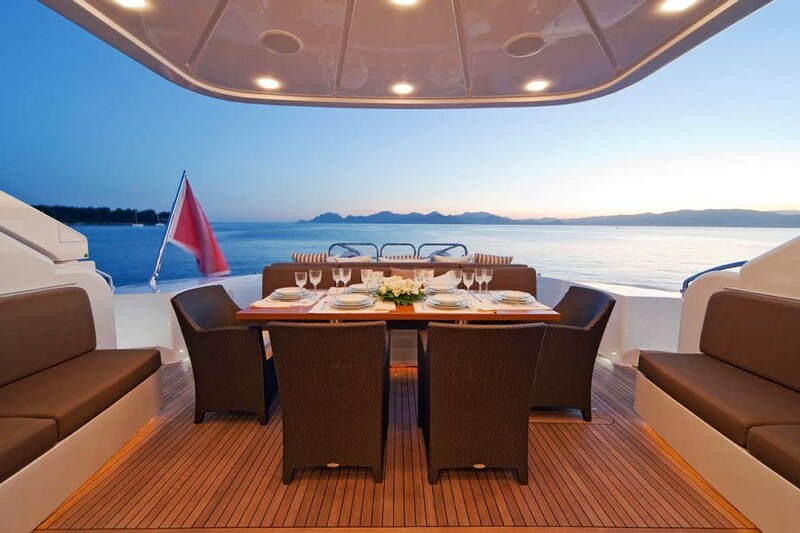 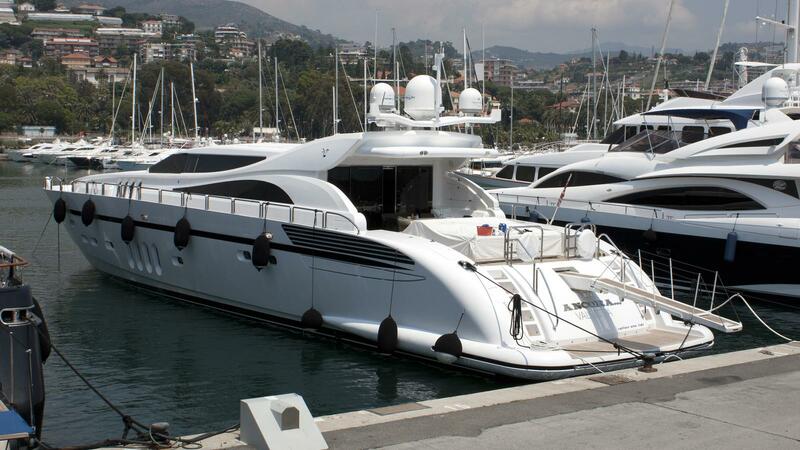 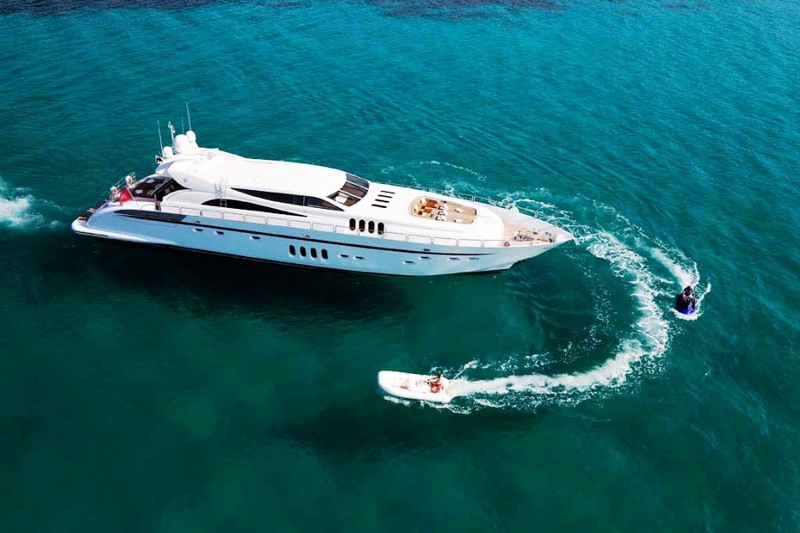 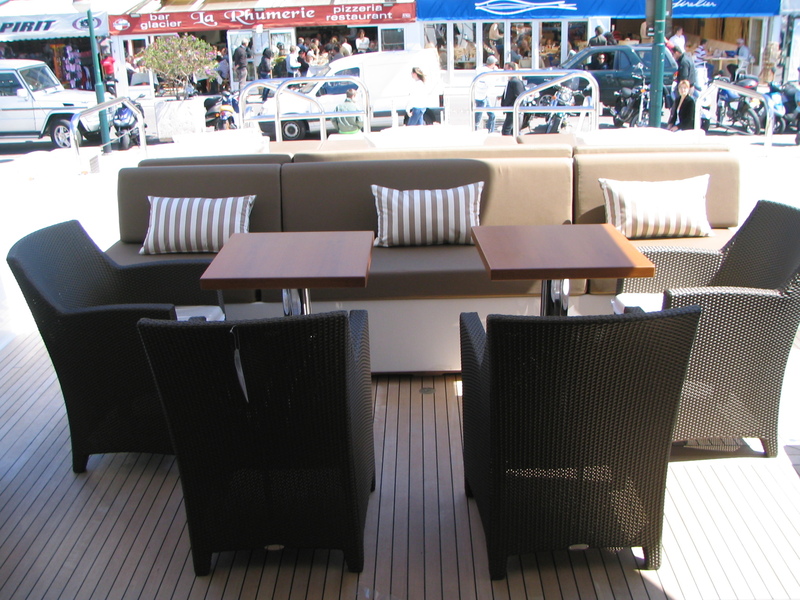 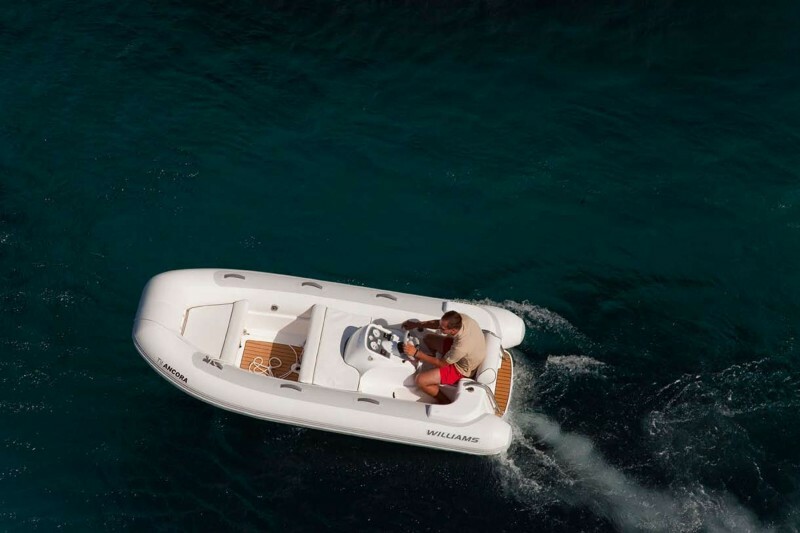 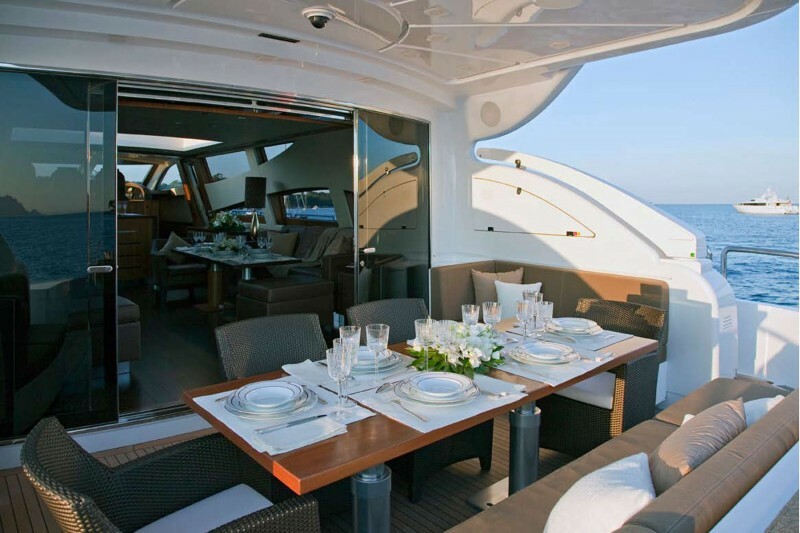 She has a fine inventory of water sports equipment that means that all interests can be catered for aboard Leopard 34. 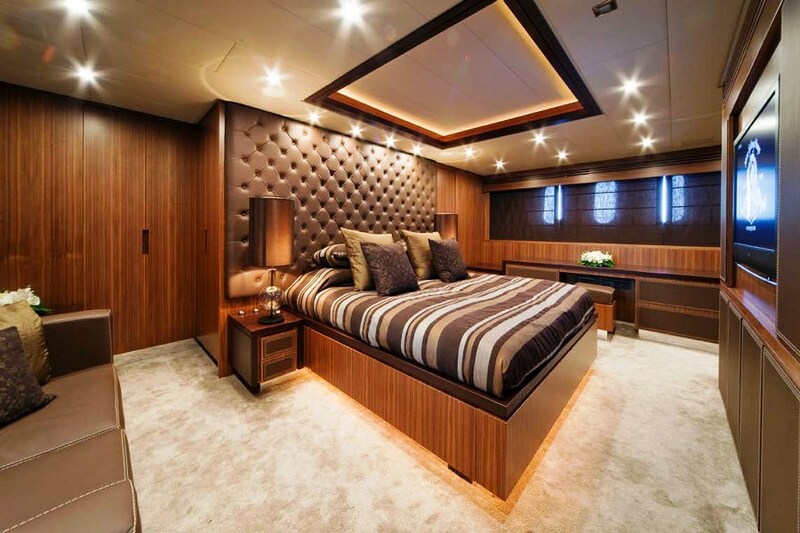 The Leopard 34m is the flagship of the Leopard yacht range, produced by Rodriguez yachts so far to date. 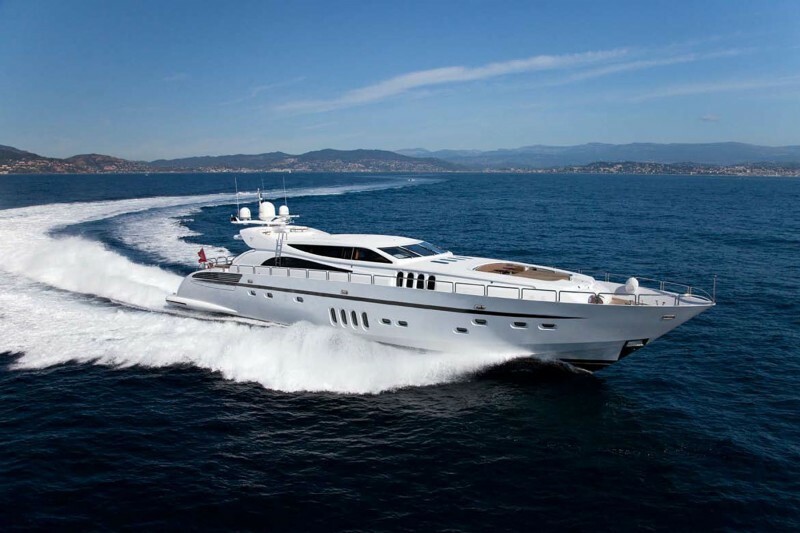 As well as performance and speed the yacht has won the “European Yachts trophy” in the large 100 foot to 120 foot open style motor yacht category. 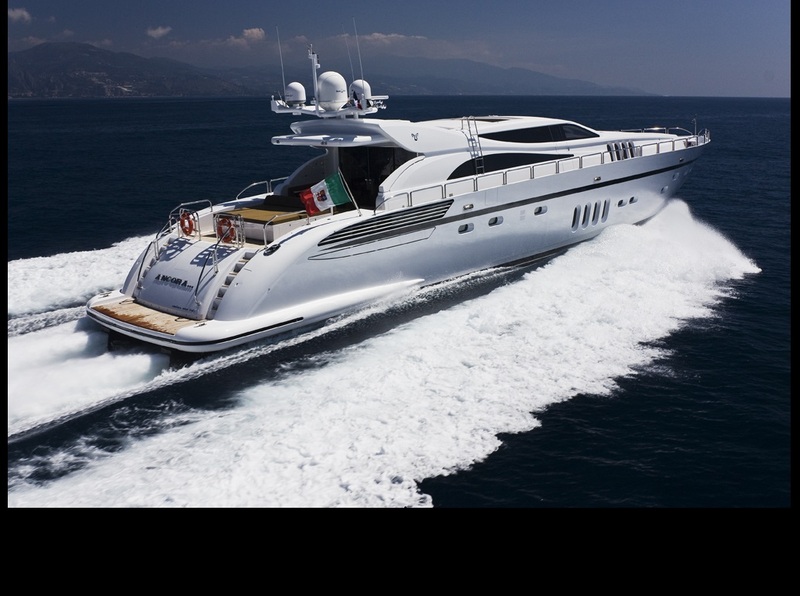 Motor yacht Leopard 34 ANCORA accommodates 8 to 9 guests in a four cabins including a Master cabin, a VIP cabin, one double and one twin cabin. 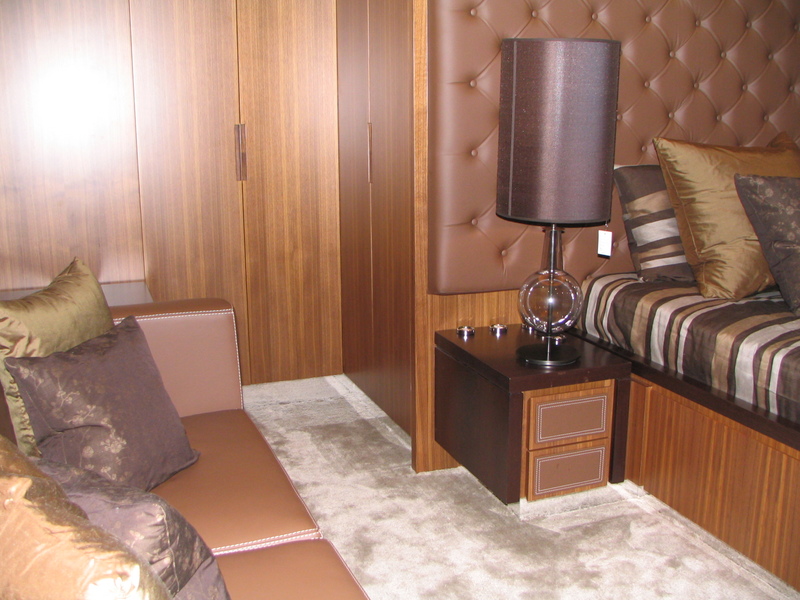 A Pullman bed is available which can accommodate a 9th person however this is ideal for a child. 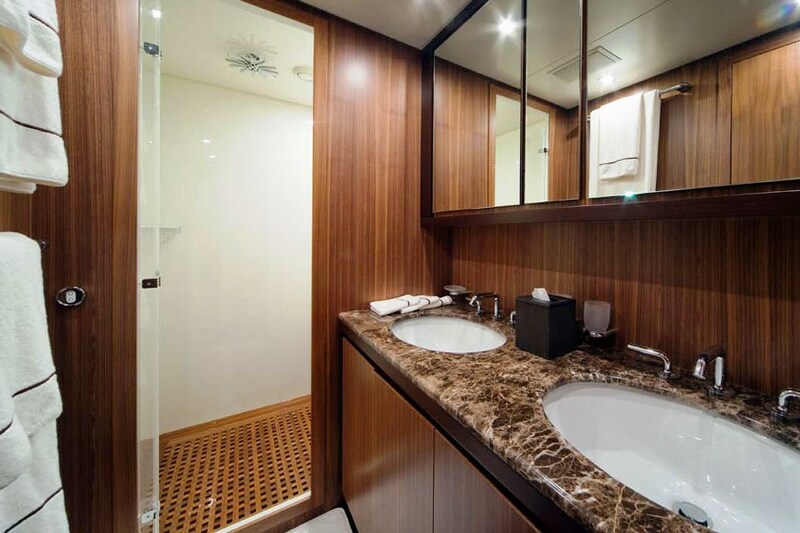 Each guest cabin is fully fitted with entertainment facilities and ensuites. 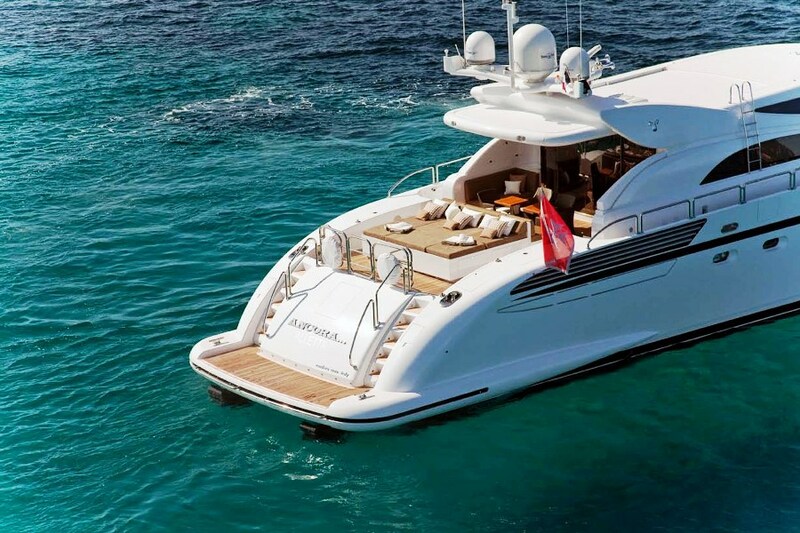 Motor yacht ANCORA is equipped with a 3.8m tender, a 2 man Waverunner, Water skis, a Wake board and a Donut. 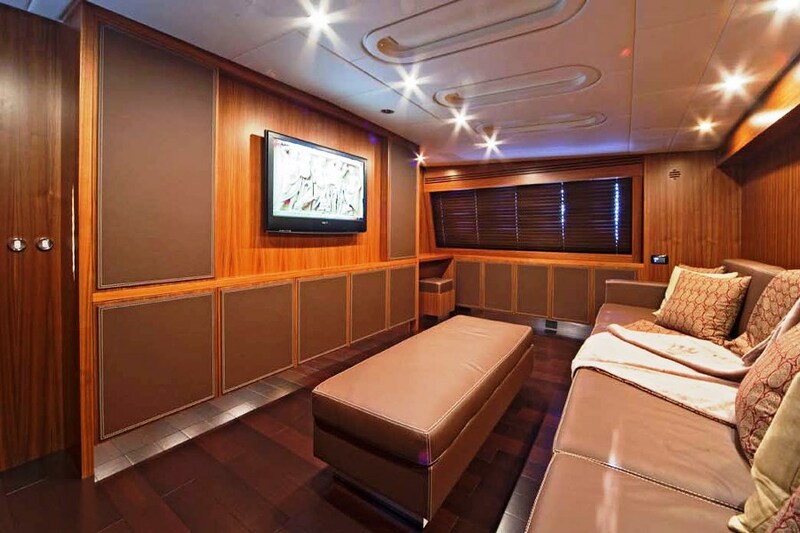 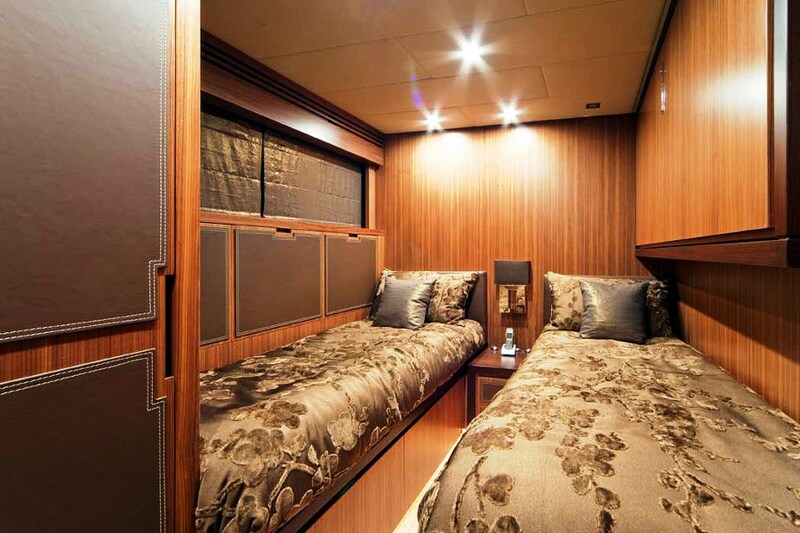 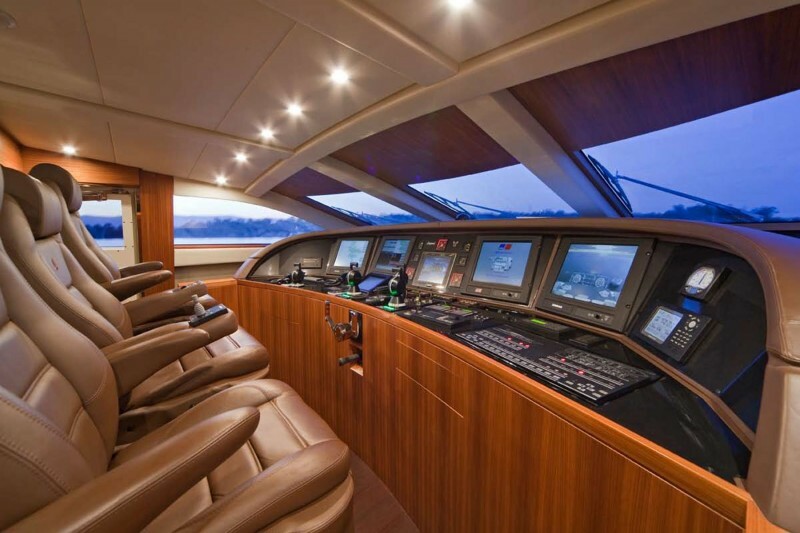 She is also equipped with a first rate entertainment facilities including entertainment facilities in each cabin, a full audio visual system in the salon including an ipod docking station and loudspeaker inside and on deck. 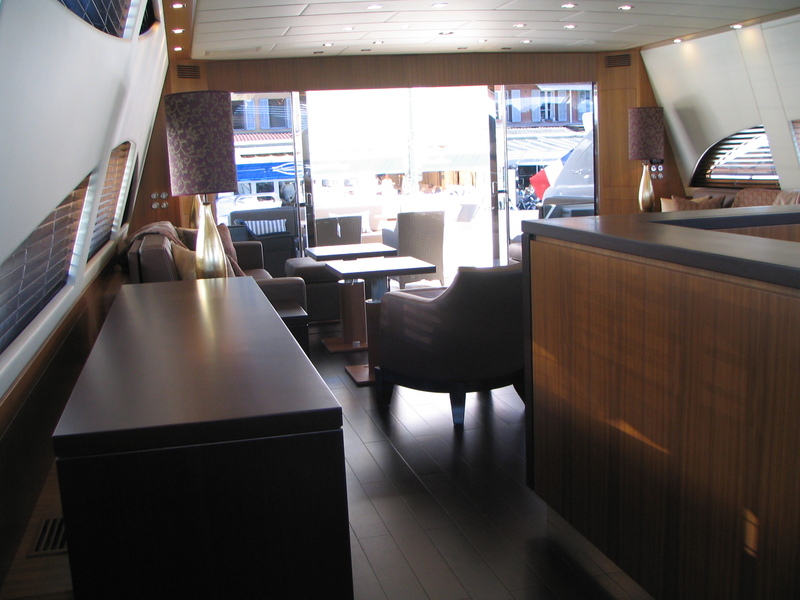 ANCORA has WIFI internet, GSM Voice and Fax and Sat Communications.